90 Days – Is Love Greater than Our Secrets? A riveting story of love, integrity and compassion, 90 DAYS explores a beautiful couple’s relationship and their life altering decision after ninety days of dating. 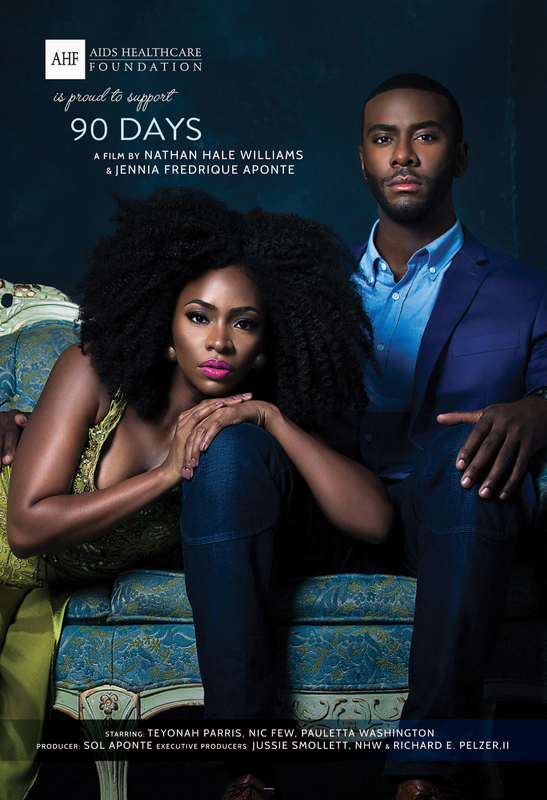 Fueled with gripping performances by an extraordinary cast of actors led by Teyonah Parris and Nic Few, 90 DAYS is a groundbreaking cinematic piece of art that confronts the human experience of overcoming one of life’s greatest perceived challenges. Written by Nathan Hale Williams and directed by Williams and Jennia Fredrique Aponte, the film is entertaining, authentic and a visual masterpiece. Based on a true story, 90 Daysis a film that will touch hearts while navigating the definition of ultimate compassion.